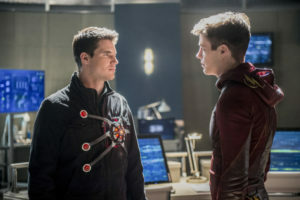 Like the season 2 episode, “The Runaway Dinosaur”, “Into The Speedforce” sees Barry return to the speed force, but this time in order to save Wally who is there after unintentionally swapping places with Savitar. 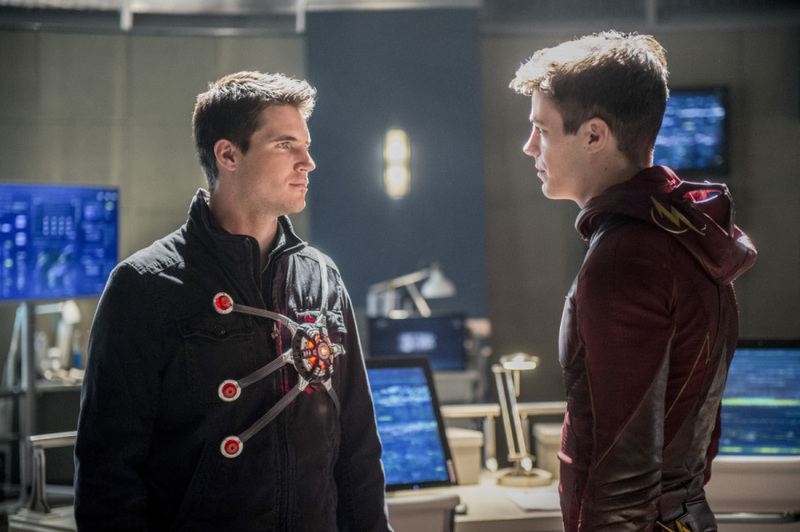 Like the last time Barry made his way into the speed force, the speed force talks to Barry through representations of long dead characters, this time using the likenesses of Eddie Thawne, Ronnie Raymond, and Leonard Snart. Unlike the last time, the speed force is not as welcoming as they once were. Upset with the imbalance Barry has caused by altering the timeline, the speed force does everything it can to stop Barry from rescuing Wally. It’s hard not to compare “Into The Speed Force” to “The Runaway Dinosaur” considering the similar plots and retreaded themes. Overall, “The Runaway Dinosaur” was a much more well-constructed episode, and “Into The Speed Force” feels like it’s trying to reach the same emotional significance, but never quite does. There are definitely plenty of good and interesting things to take away from this episode, though. It’s nice seeing characters like Eddie, Ronnie, and Snart return even if it’s not actually them speaking, but the speed force. The dream-like state of the speed force serves up some compelling and at times surreal moments, and we get to see some brief bouts with a time wraith and Black Flash, formerly Hunter Zolomon/Zoom. The sadder moments of the episode include seeing Wally being forced to relive his mother’s death over and over again, and Jay Garrick intervening and trading places in the speed force with Wally in order to save him. As stated previously, while these moments aim to impact emotionally they don’t quite. Perhaps because I figured Wally was going to make it out of the speed force eventually, and because I don’t have much emotional attachment to Garrick despite the fact that he is the doppelganger of Henry Allen. Something else that bothers me about “Into The Speed Force” is the fact that despite everything that has happened the past three seasons, Barry is still convinced he has to do everything himself. Jesse Quick makes the offer to join Barry in order to save her boyfriend, Wally, but is quickly denied. In a lot of ways Jesse has as much of a right to save Wally as Barry does. Even though this is an aspect I didn’t appreciate, I did appreciate that while Barry was roaming around the speed force, Jesse went toe to toe with Savitar and even discovered his weakness, that he is in fact just a man covered in a suit of armor. There are some problems with the episode’s conclusion, despite it seemingly being wrapped up in nice little bow after Wally is set free. Barry not only comes to realization that he must be the one to save Iris in the future, not Wally, but also decides to take a break from Iris. This doesn’t quite make sense. The two love each other and Iris even forgives Barry for only proposing to her for the sake of changing the timeline, but Barry ultimately decides he has to end it. Considering the possibility that Iris may in fact be killed off by Savitar in the future, it would make sense for Barry to spend as much time as possible with his love before her inevitable end. I can understand wanting to remain focused on the job at hand, but you shouldn’t lose sight of what it is you’re actually fighting for. Them taking a break just seems unnecessary. Just relationship drama for the sake of there being relationship drama. “Into The Speed Force” wasn’t a great episode. In fact it was downright dull at times. It did provide some entertaining and compelling moments, but not enough to save it from being a bland retread of the last time Barry entered the speed force. In all honesty I’m just glad it’s over so we are now closer to the upcoming musical crossover episode with Supergirl, which will premiere next week and will guest star Glee alum Darren Criss as the villain Music Meister. 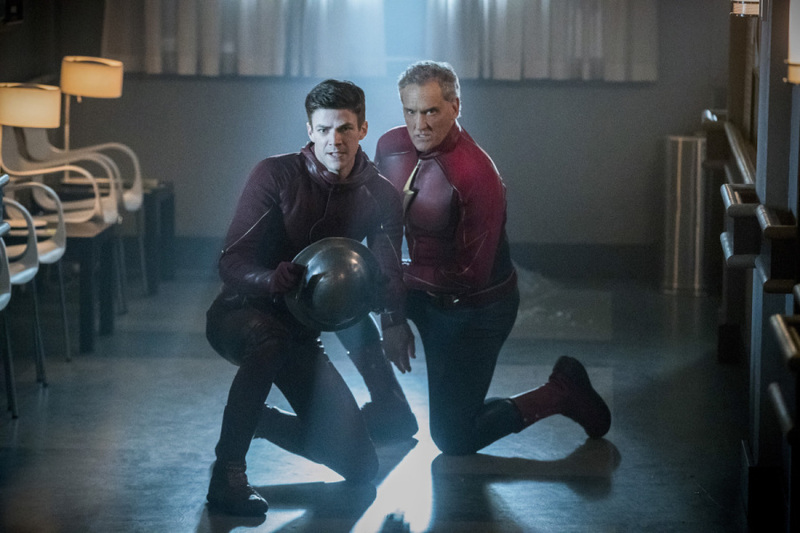 Check out The CW’s official trailer for “Duet” below and feel free to let us know what you though about “Into The Speed Force” in the comments.